Data Science has emerged as a dominant domain which has found its applications across various sectors. Data can be used in simultaneously in many ways that add a new value to the business development & Data Science is a key technology which helps in extracting insights from the data. Data Science professional expert who is termed as a Data Scientist is considered as the “the sexiest job title of the 21st century”. Why data scientists are in such a high demand these days and what do they do? Attending the Analytics Path Free Workshop Session On Data Science Training will surely be a key step towards shaping your career in Data Science to perfection. 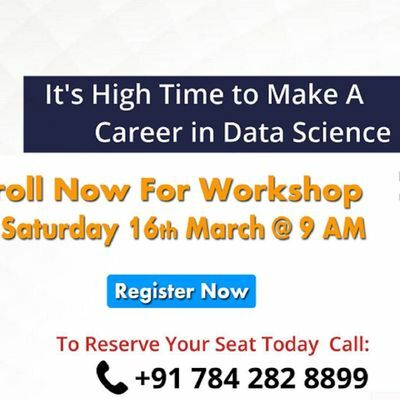 All the Data Science career desired aspirants are must to attend this free workshop session which is scheduled on 16th March, 9 AM, Hyderabad. Who Can Attend Free Data Science Interactive Sessions? 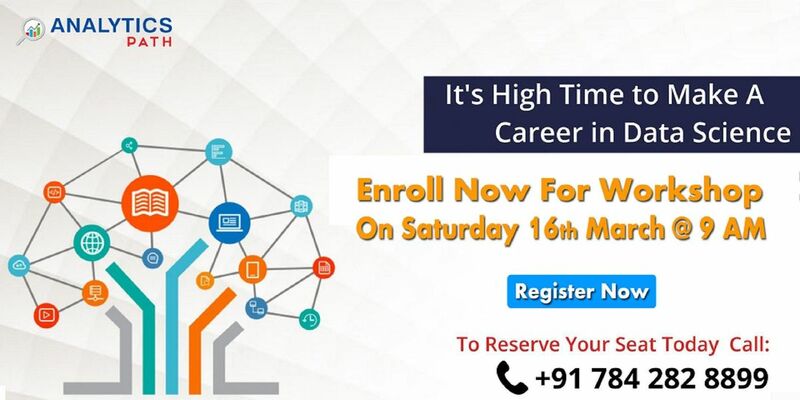 Participants who are aspiring to make a career in this Data Science field must surely attend this Free Data Science Demo to showcase skills for the career enhancement. Hi-tech City, Hyderabad - 500081, Telangana.